Please consider giving a charitable donation to the Pewaukee Scholarship Fund to help provide scholarships to future Pewaukee High School graduates. There are multiple ways to contribute. If you are contributing to a specific scholarship, please indicate which scholarship with your donation. Use PayPal or a major credit card. Make checks payable to: Pewaukee Scholarship Fund, Inc.
Use Amazon Smile to donate with select Amazon purchases. 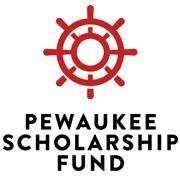 Search for "Pewaukee Scholarship Fund, Inc."
The Pewaukee Scholarship Fund is a 501(c)(3) non-profit charitable organization registered with the State of Wisconsin.